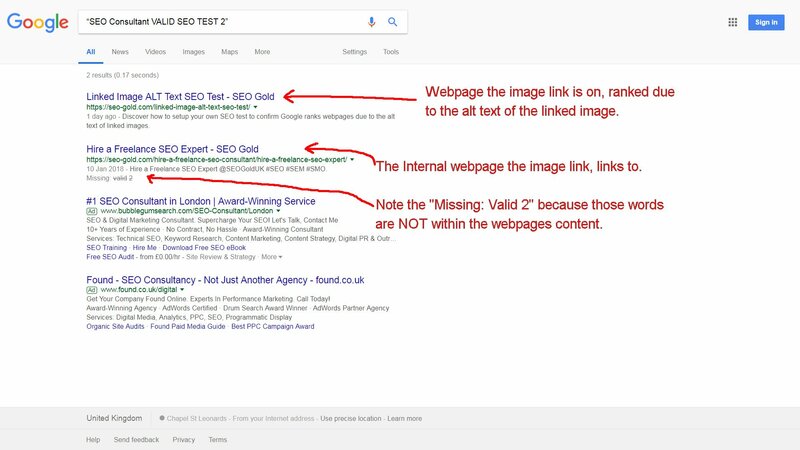 The SEO test results are clear, as expected the linked from webpage AND the linked to internal webpage is ranked for the Google search phrase above, screenshot above. 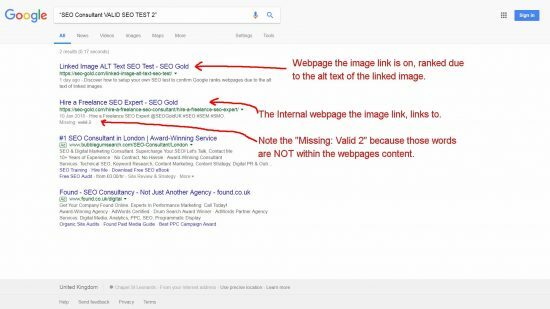 You will note only two pages are found for this Google search (not including Google ads) and the linked to result includes a “Missing: Valid 2” notice because those words are NOT present within that webpages content. The image link from the linked from webpage is passing alt text SEO benefit through the link for those words just like we see with anchor text.